Noreena Jasper Slab End Cut for Lapidary Artists, Cabochon Makers or Collectors of Natural Stone Slices - Cut from Noreena Jasper stone from Australia. 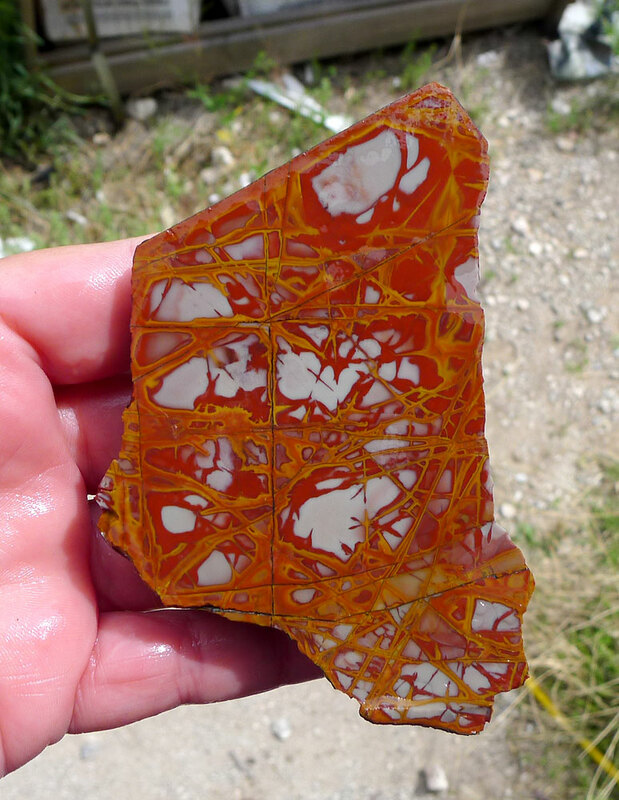 This Noreena rough was hand-selected for its lovely fine-patterning - it's natural explosion of color and unique abstract designs will make some beautiful cabochons. You will receive the EXACT Noreena Slice pictured. Please note that is a stone end-cut with all natural ridges, valleys, etc. Weight: 5.42 oz. - 153.65 gr. 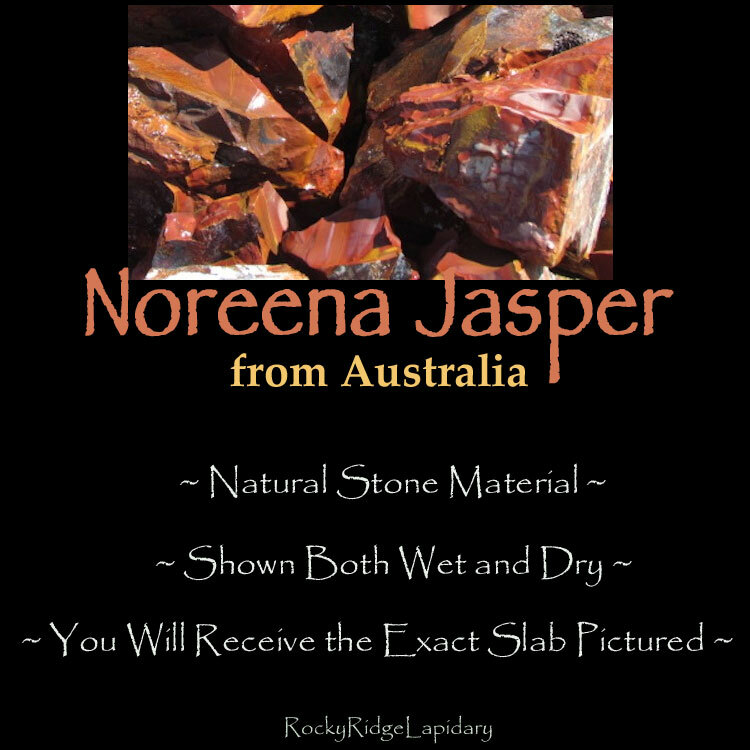 - 768.27 ct.
You will receive the EXACT Noreena Jasper Slice Shown in pictures. 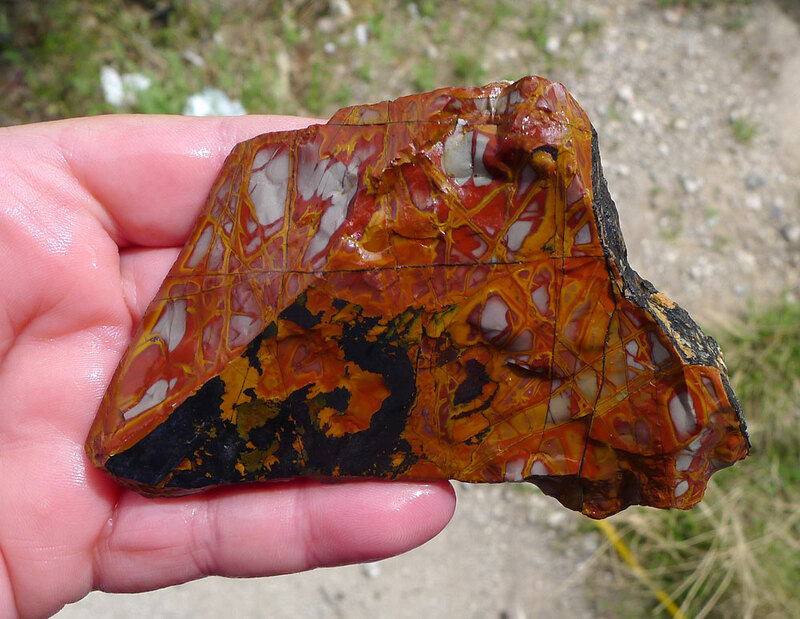 Noreena Jasper occurs in the Pilbara region of Western Australia. 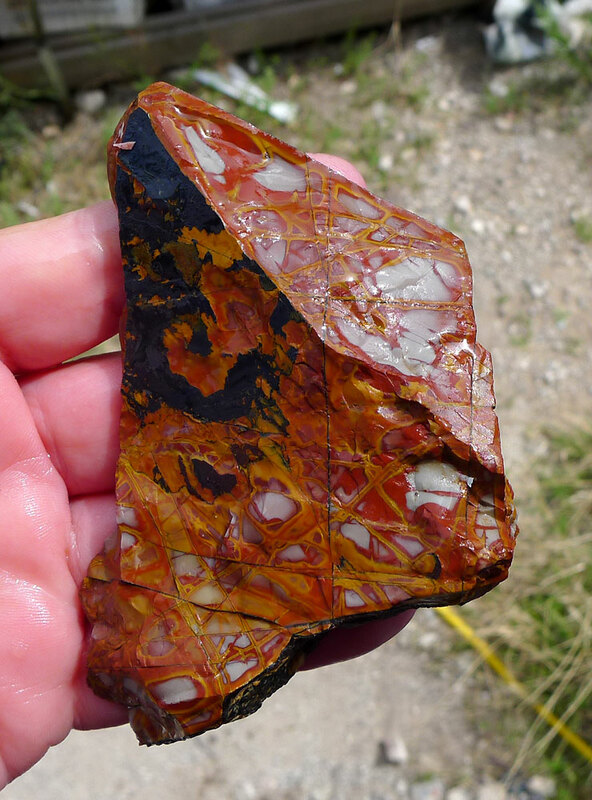 Noreena Jasper is silicified mudstone that is renowned for its abstract explosive geometric patterns of rusty red and mustard yellow. It is estimated that Noreena stone is around 2687-2765 million years old. Please Note: This is a lapidary rough slab; it is not polished. - Slabs are Cut in-house by Michelle of Silver Enchantments LLC here in the USA - There are some light saw marks that will not effect your cabochons. - Edges are rough and natural - Pictures taken Outdoors - Shown both Wet and Dry. - Measurements are given in total outside/widest points. - I try to show the most accurate photo possible, but there can be color variations due to monitor settings. - I try to note any excessive issues, but please zoom in to examine for any flaws. - I cannot be responsible for fractures, vugs or blemishes from mother nature.